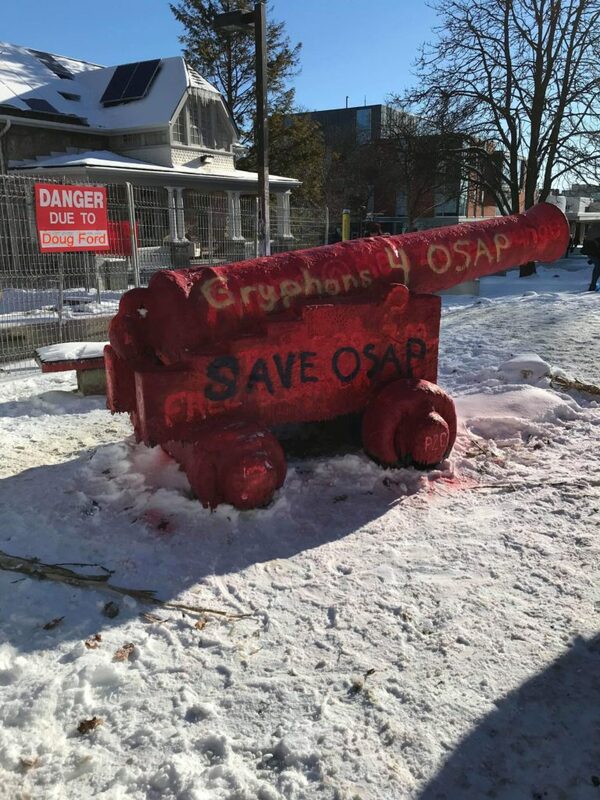 Since the Ford Government’s announcement regarding cuts to post-secondary education a few weeks ago, we’ve been working to unite student opposition against the proposed changes on our campus via the Facebook Page “Gryphons for OSAP”. This has resulted in tremendous success! 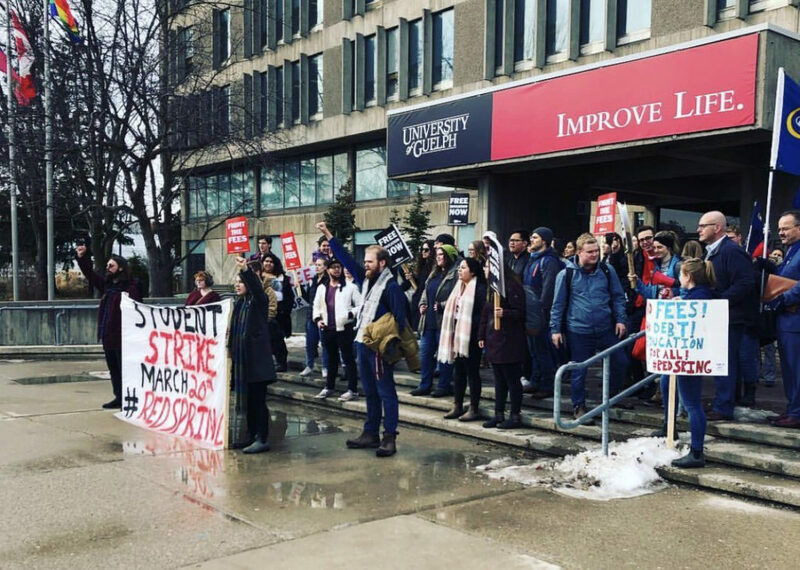 With the support of the UofG CSA, we’ve been able to host a rally and a march to demonstrate against the regressive cuts that have been proposed. Former Guelph MPP and Minister Liz Sandals reflects on the improvements that she helped make to OSAP during her political career. 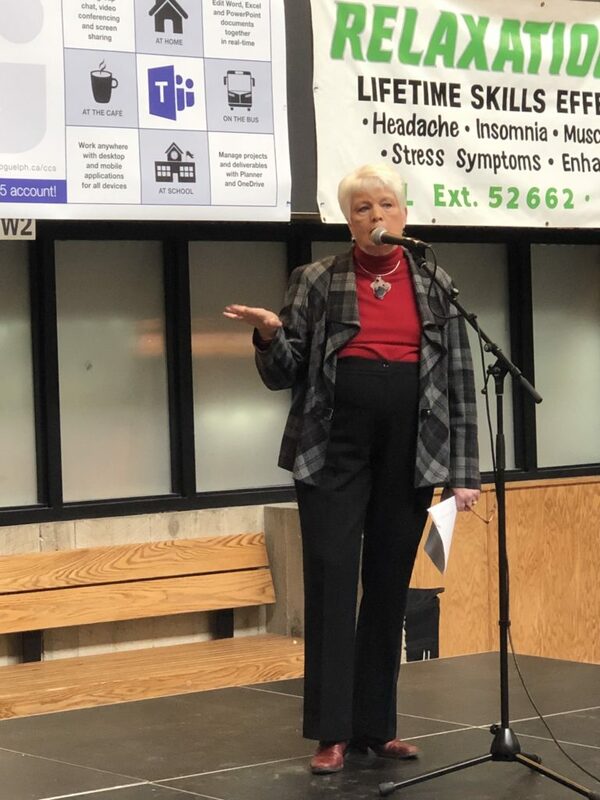 On Thursday, January 24th, we were pleased to welcome former Guelph MPP, Liz Sandals, back on campus to speak to students about the value in having financially accessible to students within the province of Ontario. Liz was able to provide a unique perspective on the issue at hand, as she was one of the major proponents around the OSAP reform that the provincial government brought about during the last government. Please stay tuned in to our coverage of this issue.